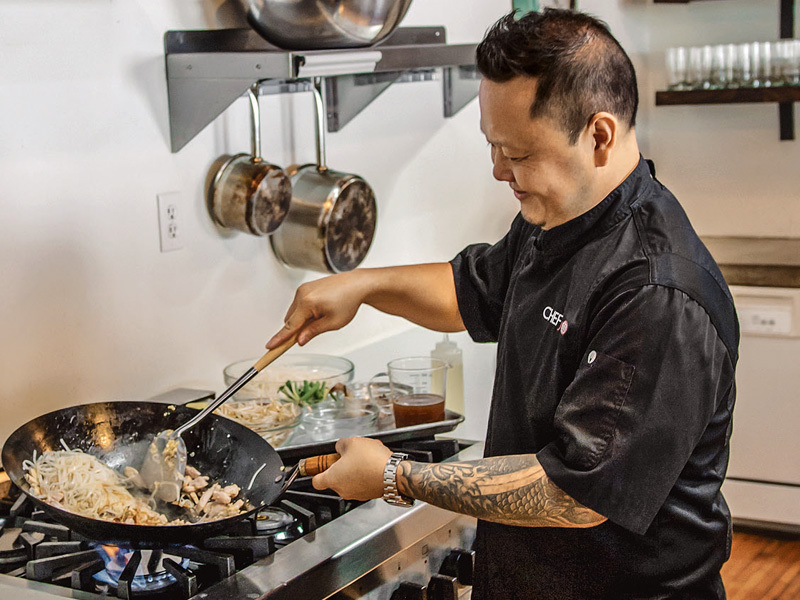 This year, I have the distinct pleasure and honor of interviewing all the top Orange County chefs participating in the annual March 2019 OC Chef’s Table. For years, I had heard about this “must attend” gala, which raises funds for the Illumination Foundation‘s efforts in breaking the cycle of homelessness. But when I began interviewing and getting to know these amazing chefs, I came to understand why the busiest chefs in Orange County so willingly participate in this phenomenal event. Chef Jason Neroni – Rose Cafe, Santa Monica – he talks about turning a passion for art into cooking, his apprentice years in Europe, and why this L.A. chef asked to be a part of this O.C. Chef-centric event. Chef Rich Mead – Farmhouse, Newport Beach – an originator and homesteader to 150-person tables, he talks about why OC Chef’s Table is still one of the most unique events in his calendar, the quick expansion of his new restaurant to accommodate the crowds, and what he thinks of the other chefs at OC Chef’s Table. Chef Linda Johnsen – Filomena’s, Costa Mesa – she talks about her first Easy-Bake Oven, opening her acclaimed restaurant during the worst economic recession, and her own brush with homelessness that has her committed to helping the homeless anyway she can.